DETROIT – General Motors and Teijin Limited., a leader in the carbon fiber and composites industry, will co-develop advanced carbon fiber composite technologies for potential high-volume use globally in GM cars, trucks and crossovers. The co-development pact signed today involves use of Teijin's innovative carbon fiber reinforced thermoplastic (CFRTP) technology, a faster and more efficient way to produce carbon fiber composites that potentially could be introduced on mainstream vehicles. For Teijin, the arrangement could lead to widening its portfolio beyond specialty and high-end automotive carbon fiber applications. "Our relationship with Teijin provides the opportunity to revolutionize the way carbon fiber is used in the automotive industry," said GM Vice Chairman Steve Girsky. "This technology holds the potential to be an industry game changer and demonstrates GM's long-standing commitment to innovation." To support the relationship, Teijin will establish the Teijin Composites Application Center, a technical center in the northern part of the United States early next year. As carbon fiber is 10 times stronger than regular-grade steel yet only one-quarter of the weight, carbon fiber composites used as automobile components are expected to dramatically reduce vehicle weight. Consumers benefit from lighter weight vehicles with better fuel economy and all the safety benefits that come with vehicles of greater mass. Teijin's proprietary breakthrough is its ability to mass-produce carbon fiber-reinforced thermoplastic components with cycle times of under a minute. Conventional carbon fiber-reinforced composites use thermosetting resins and require a much longer timeframe for molding. This time factor has limited the use of carbon fiber in high-volume vehicles. 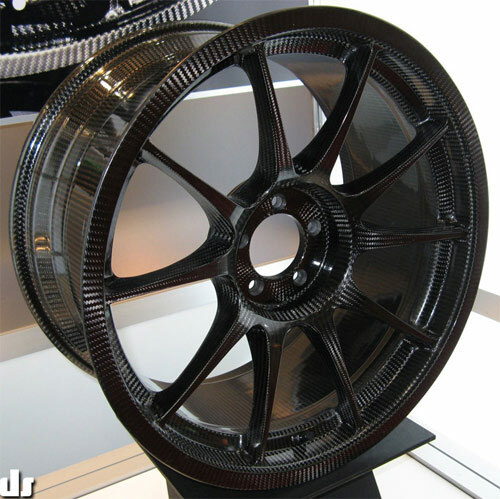 Teijin recently received a 2011 Global Automotive Carbon Composites Technology Innovation Award by Frost & Sullivan. The technology also was selected by ICIS Innovation Awards 2011 as the overall winner and the recipient of the Best Product Innovation award. Increasingly, strict global environmental standards and fuel economy regulations have intensified the need to reduce vehicle mass by using lightweight materials in place of high-tension steel or aluminum. The Teijin Group, which has identified automobiles as a key growth market, accelerated the new technology development through collaboration by the Teijin Composites Innovation Center and Toho Tenax Co. Ltd., where the mass-production technology for carbon fiber reinforced plastic components using thermoplastic resin was successfully developed. "Teijin's innovative CFRTP technology, which promises to realize revolutionarily lighter automotive body structures, will play an important role in GM's initiative to bring carbon fiber components into mainstream vehicles," said Norio Kamei, senior managing director of Teijin. "We believe our visionary relationship with GM will lead the way in increased usage of green composites in the automotive industry." The launch of any carbon fiber-intensive vehicle applications resulting from the relationship would be announced closer to market readiness. The agreement does not involve an exchange of equity between the companies.